Tom (BE) is an osteopath (BSc, D.O. 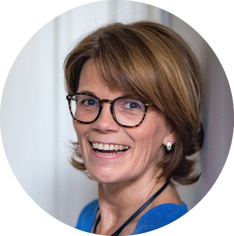 OSD), expert in the field of Body-centred Stress Coaching (M.ISMA) and founder of the Reaset Approach. As a speaker Tom's talks center around the topic of stress, viewed from a perspective of the future. A future in which technology has changed the world with a speed never seen before and has seen more changes in 20 years than over the last 300 years. In his first book "Futurize Yourself - Design your life on purpose" Tom recounts his personal how three questions saved his life, gave him a sense of purpose and why having a sense of purpose matters in a digital transformed and more automated future. Carole Spiers (UK) is an International Motivational Speaker and C-Suite Executive Consultant. Her credibility is rooted in twenty five years' success as CEO of a leading UK Stress Management Consultancy, working with equal success both in the UK and the Gulf. 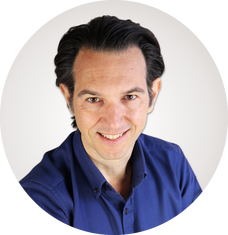 Sean D. Waters (SA) is the founder of the Stress Less Clinic® and the authority on Technostressology™the study of technostress as a modern disease on which he has done extensive research. He works as a Stress Specialist Practitioner in the Stress Less Clinic® in Johannesburg where he provides simple effective and practical ways of helping both individuals and companies on awareness, understanding, managing, coping, and evaluating their lives. Deanne Barrett (CA) is this generation’s thought leader in parenting teenagers. Her mission is to empower moms grow with their teens through their challenges. Deanne uses her experience working with thousands of teens in Canadian schools to inspire a global online community of moms to tune out the fear of not being enough, and tune into their heart's wisdom as they lead their children into the joy and pleasure of adult life. Matthias Dewilde (BE) is a digital stress expert, author & consultant. After experiencing a long term screen & gaming addiction himself, he now guides children, parents & companies alike in creating a more balanced on- & offline lifestyle at home or at work. His clients, including Marriott, Teamleader & Cronos, have relied on him to show the impact technology is having on our wellbeing & our kids – and how to thrive & find peace in a world filled with devices. As a speaker he is connected to organizations such as Child Focus and received national acclaim & press coverage for his engagements and contributions to treating screen & gaming addiction. Dr Lynda Shaw is an experienced entrepreneur having owned 3 businesses including a health club with 2000 members and 20 staff. She holds a doctorate in cognitive neuroscience, specialising in unconscious processing of emotion and communication. She is a registered chartered psychologist, an Associate Fellow of the British Psychological Society, a Fellow of the Royal Society of Medicine, a Fellow of the Professional Speakers Association, a Forbes contributor as well as an author of adult and children’s books. Her latest is a business book called Your Brain Is Boss, a guide to becoming wealthier, healthier and happier. Lee Johnson (UK) is the Founder and Managing Director of EEUK Ltd. A multi million pound organisation based in the heart of England that specialises in controlling health and safety risk in all workplaces across the UK. Dr. Hanna is the Executive Director of the American Institute of Stress (AIS) and is a Founding Partner of The Academy for Brain Health and Performance, where she serves as the Director of Training and Development. She is currently pursuing a second PhD at Pepperdine University in Global Leadership and Change, researching integrative neuroscience applications for organizational resilience. Visionary Thinker, Futurist Keynote Speaker and Author of "Humanification"
Christian Kromme (NL) is an expert in disruptive technologies and the author of the Amazon best-selling book ‘Humanification - Go Digital, Stay Human'. In this book, Christian focuses on the fascinating parallels between biology and technology. The waves of technological innovations that follow each other in rapid rate are in fact no coincidence. The book Humanification helps managers, policy makers, entrepreneurs, and investors anticipate and navigate in an extremely rapidly changing world. Susan Greenfield has held research fellowships in the Department of Physiology Oxford, the College de France Paris, and NYU Medical Center New York. She has since been awarded 32 Honorary Degrees from British and foreign universities. In 2000 she was elected to an Honorary Fellowship of the Royal College of Physicians. Further international recognition of her work has included the ‘Golden Plate Award’ (2003) from the Academy of Achievement, Washington, the L’Ordre National de la Légion d’Honneur (2003), from the French Government, and the 2010 Australian Medical Research Society Medal. She has held a Visiting Professorship at the Medical School, University of Melbourne, Australia and is currently CEO of a biotech company (www.neuro-bio.com) that she founded in 2013. Graeme Codrington (SA) is an internationally recognised futurist. He specialises in the future of work and has helped companies across the world to understand the forces that will shape our lives in the next ten years. He’s worth listening to because he has five degrees, five best selling books and lectures at five international universities including London Business School and Duke. But don’t worry, he’s not a boring academic; he’s steeped in business knowledge having worked at KPMG, for an IT start up and in the charity sector. He is also one of the founders of strategy consulting firm TomorrowToday Global. Angie Joerin (US) is the Director of Psychology at X2 AI Inc. where she leads a team to develop, improve, and research AI (Tess) as a mental health support service. Her personal and professional mission is to use her combined experience with clinical psychology, and organizational and leadership development to scale mental health support through technology.